Pass the potatoes. Slice of pie? Let’s talk about end-of-life care. That last thought probably isn’t typical holiday dinner conversation at your home. But it could be. Family gatherings, especially around the holidays, are a good time to tell stories, remember loved ones and talk about the future, which could include what you want or expect to happen at the end of your life. Talking about end-of-life care with loved ones often is considered a hard conversation. We postpone, forget or avoid the topic because it never seems like the right time. But decisions about how you and your loved ones want to be cared for at the end of life should be made before there’s a crisis. Talk with your loved ones around the kitchen table, at the counter or while out on a post-dinner walk – not in the ER or ICU. Sharing your wishes for end-of-life care can bring your family closer. It may also relieve anxiety caused by the unknown, or even the initial fear of broaching the subject. Ninety percent of people say that talking with their loved ones about end-of-life care is important, but only 27 percent have done so. Sixty percent of people say that making sure their family is not burdened by tough decisions is extremely important, but only 56 percent have communicated their end-of life wishes. Eighty-two percent of people say it’s important to put their wishes in writing, but only 23 percent have actually done it. Letting family members know that you’re thinking ahead and have thoughts on what you’d prefer at the end of your life may be as far as you need to go the first time. It’s not a one-time conversation. Think of it as an on-going series of conversations. If the conversation with your family still feels too difficult, there are many other things you can do to get started. Consider preparing an advance directive, for example, then sharing it with your family. This is a document that allows you to name someone to speak for you if you’re unable to speak for yourself. Choose a person to speak for you if you are unable to speak for yourself. Think about your values and goals for care if you are seriously ill.
Write down your wishes in an advance directive. Have two people witness you sign the advance directive and acknowledge your signature. Or sign the form in front of a notary public. Share your advance directive with your family, caregivers and physicians. 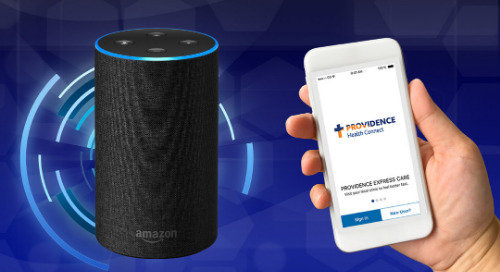 To learn more about preparing your advance directive and having the end-of-life conversation with your family, visit the Providence Institute for Human Caring.